When I was five, the biggest issue I had was that my mom was forcing me to take ballet lessons…and if you know me, you’re probably not surprised to hear it didn’t stick. But hey, at least I wasn’t being sold into slavery. Yup—a five year old. 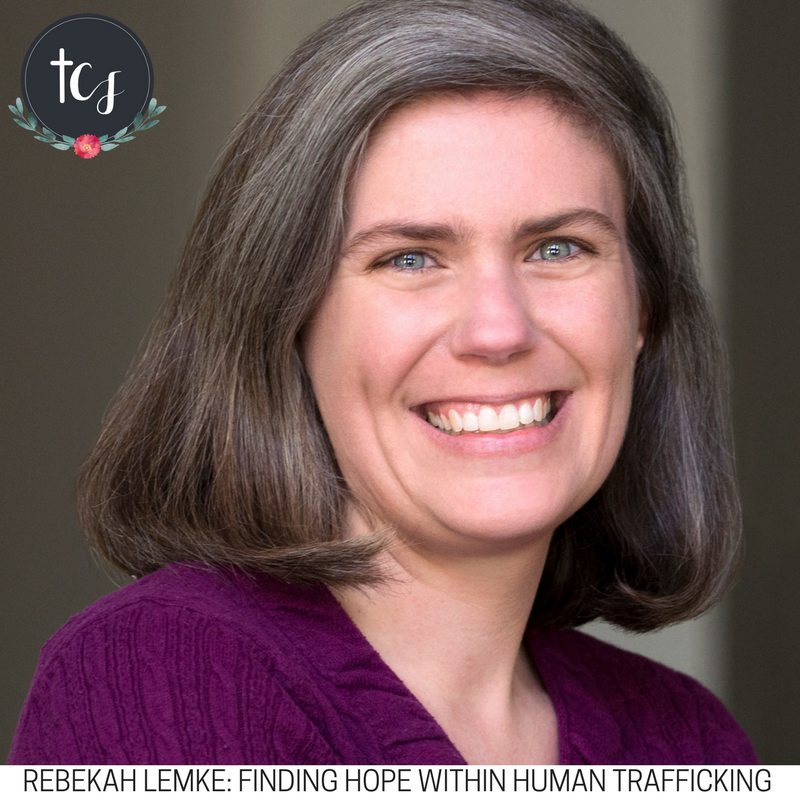 That’s just one of the stories today’s podcast guest, Rebekah Lemke, has about her work on human trafficking victims. Rebekah recently returned from a trip abroad where she was able to meet with victims up close, learn their stories, and help them move forward. We talk all about the different types of human trafficking, how you as an average person can help victims, and the importance of shopping ethically. Speaking of shopping ethically: This episode is sponsored by the first ever Ethical Trade Holiday Gift Guide produced by CRS Ethical Trade. Christmas can be stressful when we are constantly trying to find the perfect present. But when you buy from companies that you know care about the environment and the workers who make their products, you know you are doing something good.